It’s rumored that the iPhone 8 will come with a Function Area, and it would work much like how the Touch Bar does on the new MacBook Pro. 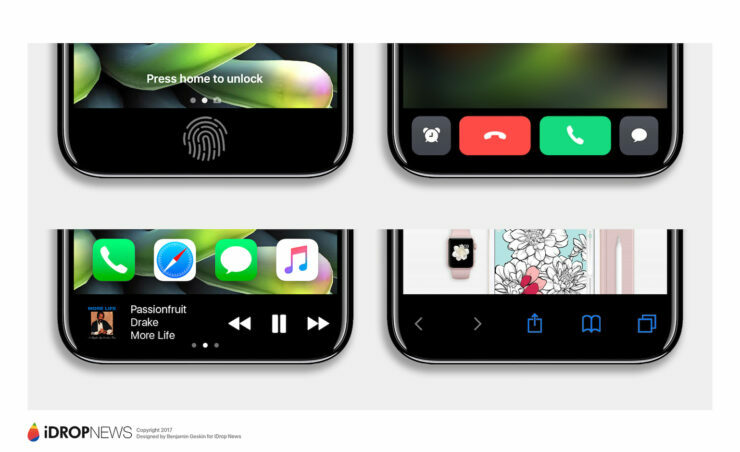 A new iPhone 8 concept focuses on this, and gives us a glimpse of how Apple might be able to take things forward. Different reports suggest that the iPhone 8 will feature an edge to edge display while giving up the Home button at the same time. Some reports all suggest that the Touch ID fingerprint sensor will be moved to the back of the device for authentication. While that does make sense given the front of the device will be all-screen, but, there’s a possibility that Apple might actually embed the fingerprint sensor inside the display itself. That’s not all though – it’s also believed that there will be a portion of the phone’s display dedicated to certain functions. Different reports are calling this dedicated portion the ‘Function Area.’ If the Touch Bar on the new MacBook Pro is anything to go by, then we can take hints into what the Function Area will do on a smartphone level. This includes accepting or rejecting calls, skipping through music, have quick toggles right at your fingertips and more. 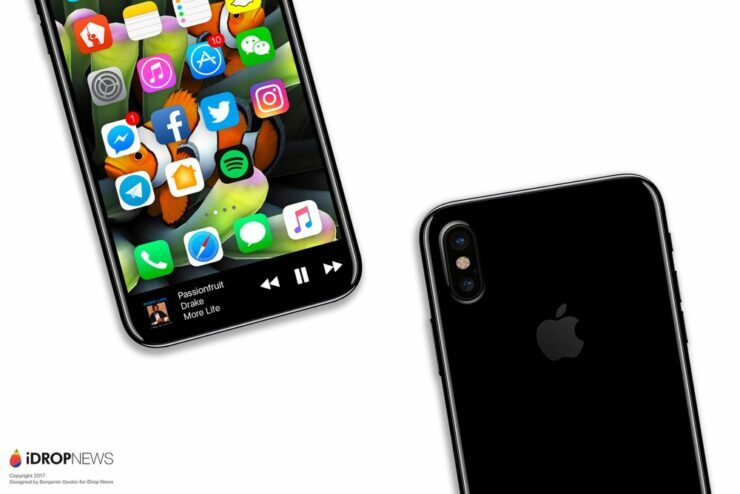 A new iPhone 8 concept on the other hand, imagines quite a bit of possibilities what Apple might be able to achieve with its upcoming smartphone. So without further ado, let’s jump right into the concept itself, and see what the future might hold for Apple fans. The concept is, without a doubt, really nicely done in a lot of ways. Though we don’t get a glimpse of the smartphone from the back properly, except for the vertical camera arrangement, it’s obvious what Apple might be able to achieve with such a large display on a smartphone. Just imagine having your favorite or crucial toggles front and center whenever you need them, without ever having to take up space on the center. Or, you can set iOS to display a certain bit of information every time in that space. The possibilities really are endless. Logitech’s New ‘POWERED’ Wireless Charging Stand Is Designed In Collaboration With Apple – Practical And Unique!